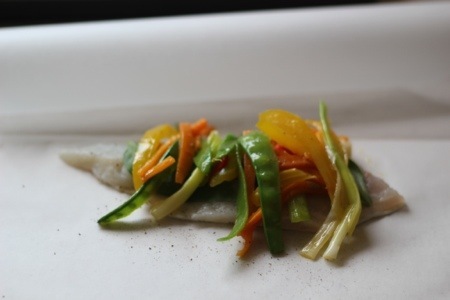 The goodness of fish is well known yet despite being an island nation we export a shocking amount of one of our best natural resources… Fish cooked in paper is a really simple way to cook a piece of fish, using what ever veggies available in the press, some seasoning, a glug of wine if you like and hey presto a stunning healthy meal in no time. 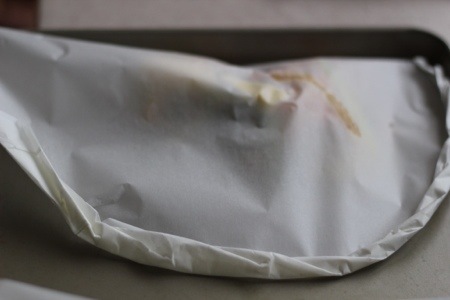 The parcel holds in moisture to steam the food and this method results in great flavour. Brill, sea bass, bream, turbot, plaice, hake or salmon will all work great in this recipe, the only variation is the cooking time depending on the thickness of your fish. 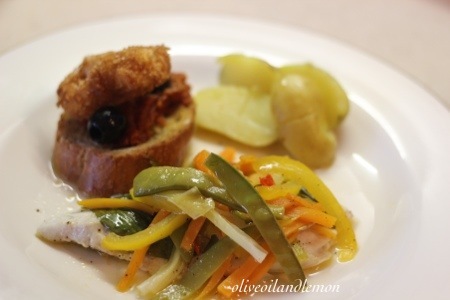 It’s full of healthy goodness, quick and easy to prepare,it’s reel fast food! 4 fillets about 170gr each, skinned and bones removed. Melt 20gr of the butter on a medium heat and add the leek and carrot. Season well , turn the heat down and cook until softened without colouring. Add the mange tout and chilli and turn heat up a little and toss for about a minute. Cover with 1/4 of the veggies, sprinkle the basil over, add a few pats of butter and a tablespoon of white wine if using. Fold paper over and seal well by folding the edges in twice. Repeat to make 4 parcels. 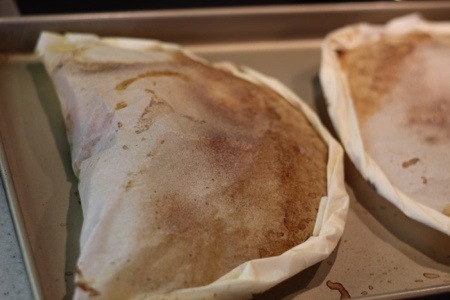 Place parcels on a baking tray making sure they don’t overlap, They can go into the fridge at this point if you are not ready to use otherwise into the oven for about 10-12 minutes depending on the thickness of the fish. 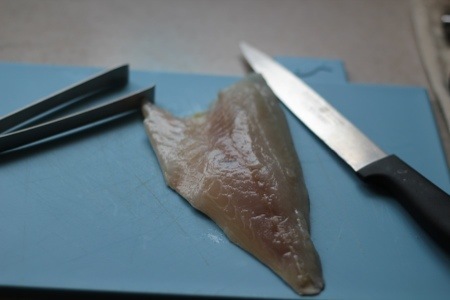 Serve immediately onto hot plates and pass the scissors round to open the packs and savour the smell and flavour….